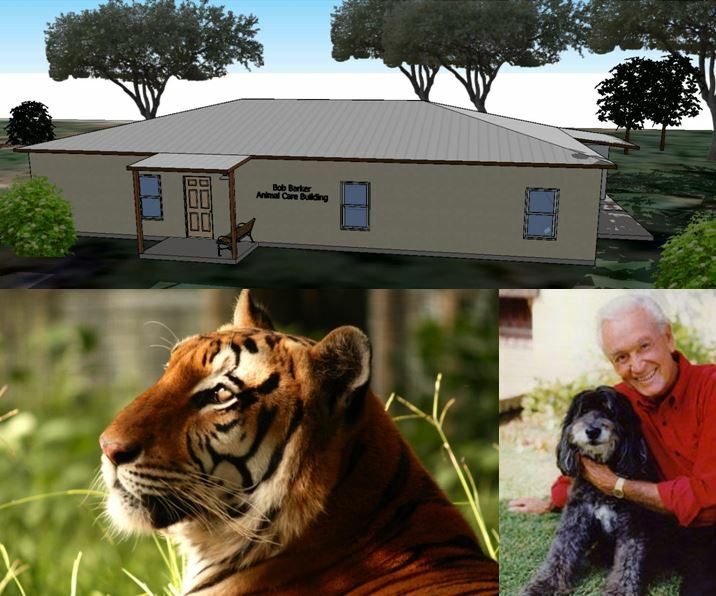 Ocala, Florida — Forest Animal Rescue will immediately start construction on the Bob Barker Animal Care Building, thanks to a generous $100,000 grant from the former game show host himself. The grant comes from Barker through the DJ&T foundation. The DJ&T Foundation was named after Barker’s late wife, Dorothy Jo, and his mother, Tilly. The building will cost approximately $250,000 and Barker’s grant will set the project in motion. The construction of this building will ensure that the high standards of veterinary and nutritional care for the animals at the sanctuary continue. Forest Animal Rescue is making substantial progress toward completion of a state-of-the-art animal sanctuary in the Ocala National Forest. Now, in addition to providing lifetime care for over 100 non-releasable wild animals, that would have otherwise been euthanized, Forest Animal Rescue is also rehabilitating orphaned black bear cubs for release into the wild. Barker is helping to take Forest Animal Rescue’s newest program to the next level. Forest Animal Rescue successfully launched their black bear cub rehabilitation and release program in 2015. Working with wildlife officials in Louisiana and Florida, they started the program to assist with the nurturing of orphaned black bear cubs until they are ready to be released back into their native habitat. However, while congratulations is in order, the $100,000 will only start the project. Forest Animal Rescue is seeking community support to raise the balance of the funding needed for the Animal Care Building. If you would like to help with the remaining $150,000, tax-deductible donations can be mailed to Forest Animal Rescue, 640 Northeast 170th Court, Silver Springs, FL, 34488, or made online at http://ForestAnimalRescue.org . Guided tours are available for up to four people at a time, twice a month, and can be reserved on the website. For more information, call 352-625-7377, or email info@forestanimalrescue.org.